How do I feel about this one? I’m not really sure. I didn’t even want to pick it up at first because when I vaguely recall the prequel, me before you, I associate it with “distaste” for some reason. Then I grabbed it, because I just had to now didn’t I? Then I checked my review of Me Before You and it turned out I didn’t loathe it, I simply didn’t like the ending. 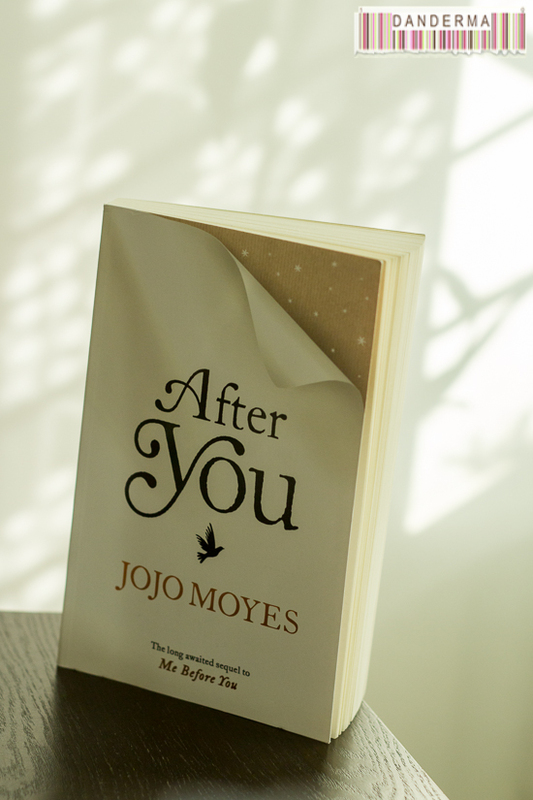 Therefore, suddenly After You became the must read next book on my list, I just knew it would be and that’s telling me something about Me before you, right? When I picked this one up, didn’t waste time flipping its pages at all. I enjoyed and even liked the beginning, yet got frustrated about mid-way to the point of absolute boredom as the story was treated like a puzzle. The only thing I liked about it is Sam. The thing I hated most about it is nefarious Lily. Who are those two? I won’t spoil it for you, you have to read it and meet them yourself and then let me know if you agree with me or not. Does it stand on its on? Well I suppose so but then there would be quite a chunk of it missing where you wonder why a certain character is wrecking havoc with the Louisa’s life and she is meekly letting her. The way to read it is hand in hand with the prequel Me before You which I’ve reviewed before and is quite depressing. After You, thankfully, is much less depressing and barely a tear came out of my eye as I read it. There is a side story with her mother though quite entertaining though I could have done without, and a lot of pages and narratives and details I could have done without as well, I think I’ve began skipping the therapy circle’s pages entirely as I went along. There is the ending which made me sad still, for I wanted something good and happy to happen to poor Louisa. I have to say, it looks very probable that there would be a third instalment after After You, which may or may not work out well. Personally, I think no sequel could have lived up to Me before You, and it should have ended there -its been turned into a movie to be released in 2016 btw- but if there is a third book I’d get it and read it because, well, you’d know why if you read and like what you’ve read in the last chapter of After You.